BUCHANAN – The closure of the Indian Point plant is scheduled to begin next year, and members of the community say they are already thinking of the safest ways that officials should proceed. They tell News 12 that they’d like to see the state implement a citizens oversight board to act as a watchdog for those who live in close proximity. Their idea is to have a board of 15 impartial members who don’t have any financial or economic agendas. Members would be appointed by the governor, the Westchester County executive, local government, environmental organizations and labor unions that represent the Indian Point workers. Margo Schepart, of the Indian Point Safe Energy Coalition, and Courtney Williams, co-founder of Safe Energy Rights Group, say whoever buys Indian Point from Entergy at the end of the year may try to cut corners and save money deciding how to store the nuclear material and put public safety on the back burner. The citizens oversight board would be full of people, they say, who are experienced and from the area – and in turn, have a vested interest. 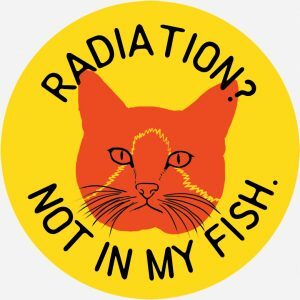 “The radioactive material at Indian Point is going to be radioactive for something like 250,000 years,” says Williams. That’s how long she says the nuclear material can pose a risk to the public. Their groups worked with researchers at Princeton University who determined that if Indian Point were to go on fire or if the neighboring gas line were ever to rupture, people all the way in Montreal, Pennsylvania, and Washington, D.C. could be affected. Their goal is to lessen any possible exposure in the years to come. They think having current knowledgeable employees of Indian Point to handle the dismantling and installing high-quality casks to store the material could do that. The ACT would amend the Public Service Law to create a Board to oversee aspects of decommissioning the Indian Point Nuclear Power Plant in Buchanan, NY. Purpose: To monitor the decommissioning of the Indian Point Energy Center, gather and provide information to the community, gather public comments, and make reports and recommendations to NY state officials. Meetings: At least ten regular meetings per year with a provision for emergency meetings in certain circumstances. All meetings shall be open for public attendance and comments. Any other information reasonably required to allow the Board to complete its duties. Whereas the ______(town/village/city) Board/Council strives to protect its residents, businesses and institutions. Whereas, a Citizens’ Oversight Board for decommissioning can act on behalf of residents, businesses and institutions and the Nuclear Regulatory Commission states in “Nuclear Regulatory Experience in the Decommissioning of Nuclear Power Plants” that in the reactor decommissioning proposed rule-making a Citizen Advisory Board be a required part of the decommissioning process. Resolved, that the _____(town/village/city) Clerk shall forward this Resolution, with attachments, to the Governor of New York and to the New York State Legislators in both the New York State Senate and the Assembly that represents the _____(town/village/city), and to New York’s Public Service Commission, Department of Homeland Security and Emergency Services, Department of Health, Department of Environmental Conservation, Empire State Development, NYSERDA and the Office of the NY State Attorney General to urge these actions be taken as promptly as possible. 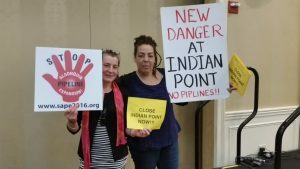 What’s Next for Indian Point? Like many aging nuclear reactors, Indian Point, which has defined the Town of Buchanan for 40 years, was caught up in declining electricity prices and declining demand when its owner, Entergy Corporation, decided to shut the plant. In addition to lower revenues and costly upgrades, Entergy was facing an expensive court case plus hearings before the Atomic Safety and Licensing Board. In 2017, after high-level negotiations, the environmental organization Riverkeeper and New York’s attorney general agreed to drop proceedings against Entergy, and the corporation announced it would close Unit 2 in 2020 and Unit 3 in 2021. 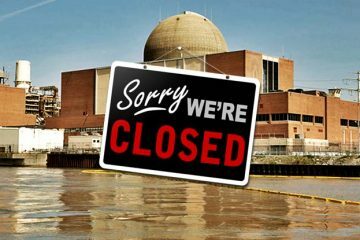 Now that Indian Point is closing, the next step is cleaning up the mess. Decommissioning a nuclear reactor is a huge, potentially dangerous process. With any big deconstruction job, contractors and owners may be tempted to cut corners and maximize profits. Supervision from authorities may be lax. The primary concern of the Nuclear Regulatory Commission (NRC) is what happens inside contaminated buildings. 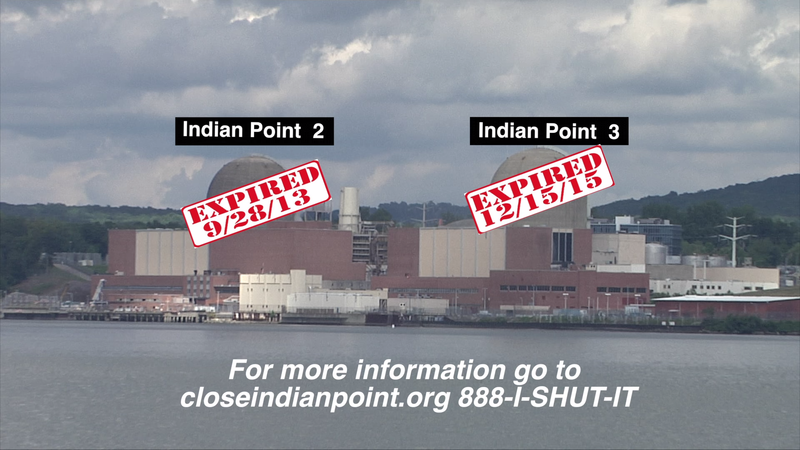 The state task force on Indian Point will disband when Unit 2 closes. 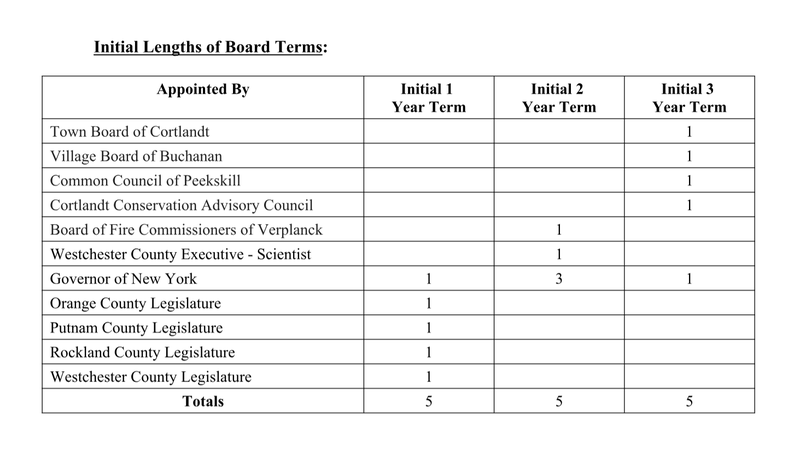 Cortlandt established a local task force, but its purview is mostly replacing lost tax revenue. So who will watch the store? We need a legislated oversight board of knowledgeable citizens representing all the stakeholders involved in closing Indian Point. A Citizens Oversight Board could keep up with the cleanup process, translate reports from the decommissioning company and the NRC into plain language and hold public meetings. Then it could make recommendations to help protect people and the environment from exposure to the high-level radioactive waste that will be stored at Indian Point for decades. There are about 1,500 tons of high-level radioactive waste at Indian Point from the many fuel assemblies used to power the reactors. This waste will be deadly for 240,000 years. That’s how long it takes for the plutonium to decay. Most of the used fuel assemblies remain in the fuel pools at Units 2 and 3. Some are entombed in steel canisters inside massive concrete pillars sitting on a concrete pad on the property. The closing agreement stipulates that Entergy will put all of the used fuel assemblies into dry-cask storage, a decades-long process. There is nowhere else to send this waste material. No community wants to accept it, and transporting it is dangerous. We created it and enjoyed its benefits, and now it’s ours to keep. Who pays for all this, and who’s in charge? No one knows if the decommissioning fund, which ratepayers have long contributed to through their electricity bills, will be enough. How the contractor will spend that money is an open question. During a decommissioning in Vermont, Entergy was using it to pay taxes, not for cleanup. A Citizens Oversight Board could help oversee the expenditures and keep the public informed. While people tend to assume that the NRC will be in charge and enforce standards during cleanup, its supervision will be limited to the interior of contaminated buildings. The Environment Protection Agency will be involved, although given the cut backs in regulations, it’s hard to know how effective their oversight will be. Based on computer modeling, the casks could last 300 years or less. What happens after that is unknown. A Citizens Oversight Board—composed of community members—could track all this, make sense of the varying standards and requirements, and report back to the public as well as various levels of government. This fall, the Indian Point Safe Energy Coalition (IPSEC) will present state legislators with a proposed bill to establish a Citizens Oversight Board. The draft legislation is online at ipsecInfo.org. Many of our legislators aren’t familiar with this idea yet. They need to hear from people in their district. You can support this effort by contacting your state legislator. There’s a list of elected officials at Elections.ny.gov. Find your state senator or House representative, and then go to his or her website and leave a note, send an email or, best of all, call and speak to a staff member. Let them know how important this issue is. Ask for their support and their vote for a Citizens Oversight Board. For more information, contact IPSEC at 1-888-474- 8848 or visit ipsecInfo.org. Marilyn Elie is co-founder of Westchester Citizens Awareness Network and a member of the Indian Point Safe Energy Coalition, a coalition of grassroots and environmental organizations in the Hudson Valley dedicated to the closing of Indian Point and its safe and timely decommissioning.